Sunset over the Pacific. Photo by Pavia Rosati. SF locals know how to take advantage of the Bay Area's natural beauty. But where to go when there's an itch to really get out of town? Fathom editors share their favorite escapes. SAN FRANCISCO – There's a three-day weekend in your future, and you will not go hungry or thirsty or be starved for great views. Take it all in. The courtyard at L'Auberge Carmel. Photo by Pavia Rosati. If you're in the mood for: Gorgeous scenery, expensive shops, epicurean living, and windswept coastlines. Route to take: It's two hours south on the 101 and a little longer on the decidedly more scenic 1. Your call. 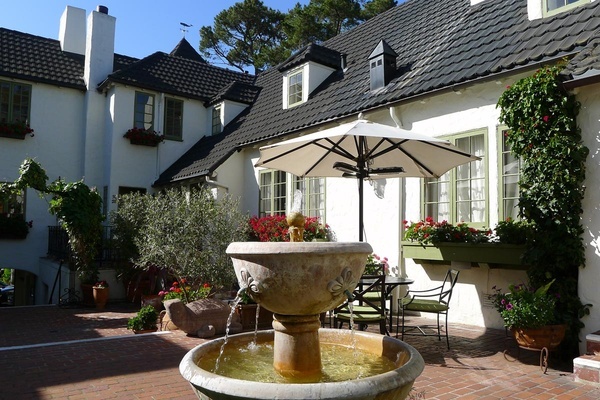 On your agenda: Check into Relais & Chateaux hotel L'Auberge Carmel, and be warned that you might never want to leave the flower-filled courtyard and your cozy room. Have dinner at their intimate award-winning restaurant, Aubergine, and ask sommelier Marin to pick a special wine. Spend the day browsing the shops around town, stopping at Jan de Luz for fancy towels, Robertson's Antiques and Art for a special object. When you get hungry, head to Carmel Belle in Doud Arcade for local and organic juices, snacks, and sandwiches or Cantinetta Luca and Salumeria Luca for everything Italian. Rent bikes through the hotel and head south along Scenic Road, stopping at former mayor Clint Eastwood's hotel and restaurant, Mission Ranch, then walking the grounds at Carmel Mission before making your way to Point Lobos State Reserve for quality nature time. Beat the Sunday blues: Drive the stunning 17-Mile Drive through Pebble Beach, stopping to admire the sunbathing seals and lone cypress along the way. Everything is delicious at Shed. Photo by Pavia Rosati. If you're in the mood for: Rolling hills of wine country, small-town cuteness, and farm-to-table deliciousness. Route to take: It's a straight 90-minute shot up 101. 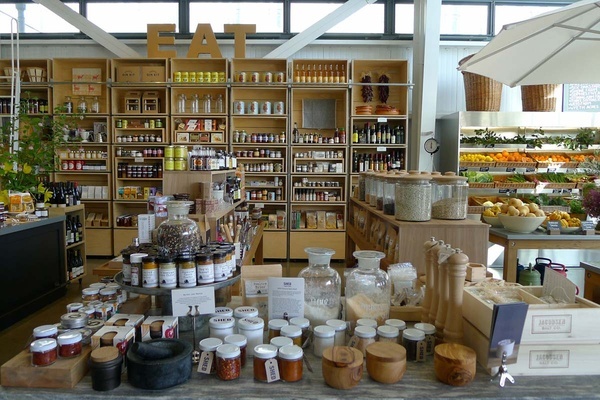 On your agenda: Have healthier-than-healthy meals, house-made fermented cocktails, and maybe take a kombucha-making class at Shed, the Platonic ideal of a food shop and cafe. Spend a day exploring the so-cute-and-indie-it-hurts shops around the leafy town plaza: have a coffee at Flying Goat Coffee, pick up a novel at Levin & Company community booksellers, and order one too many slices and scoops at Noble Folk Ice Cream and Pie Bar. After dinner of pork sliders at The Chalkboard, catch a show at Raven Theater. Or just hole up for the whole weekend in your four-poster bed at Hotel Les Mars, the drop-dead chicest little fantasy of a French country inn. Beat the Sunday blues: Stop at Lancaster Estate for wine tastings in their architecturally stunning underground cave. Seat of contemplation. 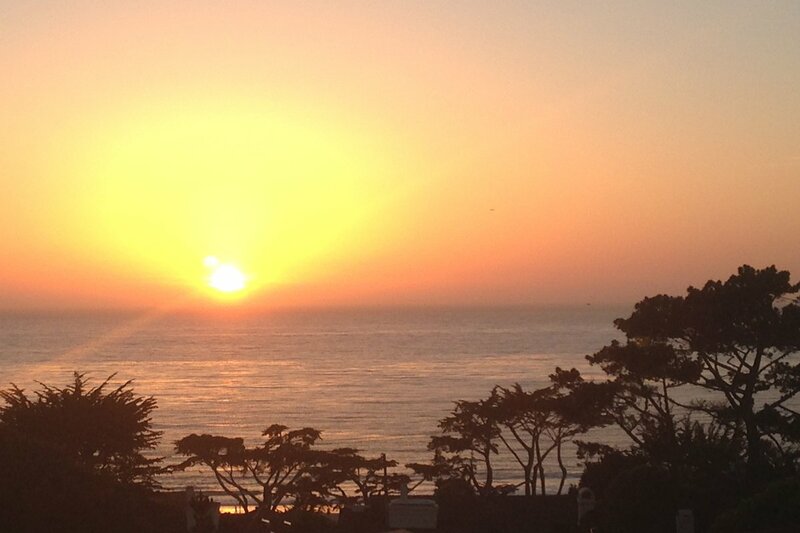 Photo courtesy of Esalen Institute. If you're in the mood for: Late-night hot spring bliss. Route to take: Mountains and water converge on the PCH. Once you reach the winding part of the road on the cliffs, roll down the windows and take in the ocean breeze. 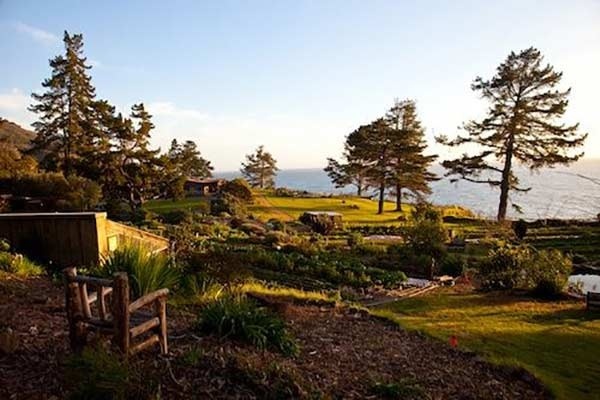 On your agenda: Esalen Institute, a community-minded farm center for personal retreats. Book a cabin, attend workshops, work the land, eat healthy meals, and embrace the bathing rituals of the cliff-side springs (which you can relax in until 3 in the morning). Beat the Sunday blues: Stop by Big Sur Bakery for a gorgeous breakfast, or, if you're short on time, a nice coffee and fresh muffin. You'll need the sustenance: Once you pull out of their driveway and start heading north you'll be — ping! ping! ping! — back in cell phone range. Acres of vines. Photo courtesy of Villa Creek. 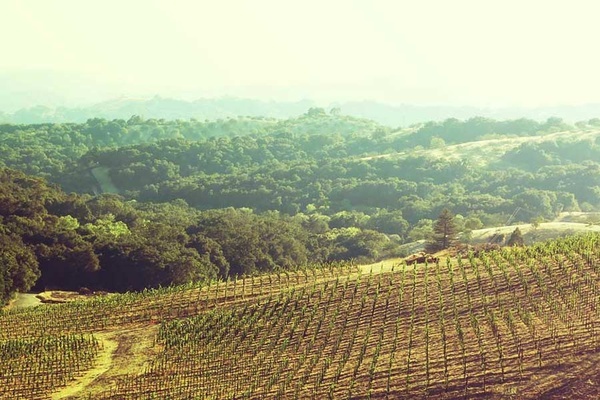 If you're in the mood for: Equestrian adventure, local wines, agriculture, and nature. Route to take: Approach the Central Coast from Highway 40 to capture the changing landscape — interior valley to open savannah to valley of oaks. On your agenda: Check into the dynamic Hotel Cheval, a 16-room inn with European flair. The easy, fresh menus of Artisan pay homage to Alice Waters, and you can do the same yourself at the San Luis Obispo Farmers' Market (where citrus, elderflowers, heirloom walnuts are yours for the tasting). Venture out for day trips to small-scale wineries: Villa Creek and Halter Ranch Vineyard and Tablas Creek Vineyard. Beat the Sunday blues: Pick up a few keepsakes and pantry items at General Store Paso Robles (granola, olive tapenade, Paso mugs) before zipping back home.